Last year around this time I photographed Elizabeth, Jacob and their daughter Helen at their home. They were about to move into another home and wanted to document their family and the space that had been so special to them. This year, settled into their new space and a year older, they asked me again to document their family through photographs. They also happen to be some of my favorite people and Elizabeth helps me plan & coordinate classes and events at Gather. Their daughter Helen is beginning to speak in full sentences and loves having tea parties with her animal friends and baby dolls. She is full of joy and really starting to exert her independence. The Burke’s have a relaxed but intentional design sense. Their house reflects that and is both minimal and full of special but simple details that are meaningful to their family. I love the way Elizabeth made use of a big vat of indigo dye from one of our shibori classes to update unexpected clothing items. Thank you Burke family for asking me to shoot your family photos. 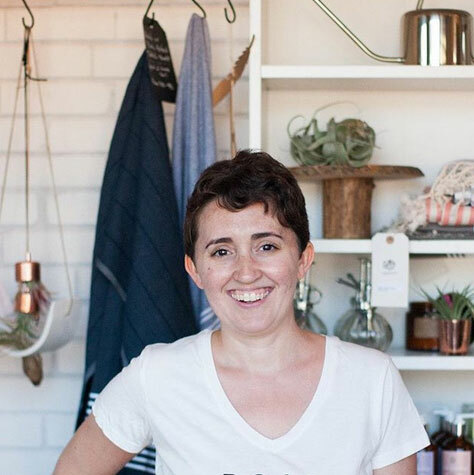 Gather Goods Co is a tiny gift shop, classroom and online store focused on showcasing beautiful goods for the home, body & garden, many of which are made by emerging makers. We also have our own line of gift and plant products under the same name. Gather-Studio is our service arm focused on photography, styling, social media, marketing, branding and design work for clients. Interested in our services? Email me for more details.